For those who have been wondering why I have not written for over a month and feel that means a whole part of your life is missing, well, sorry about that. I do have 5 jobs, there’s an election on here and I’m writing scads of political stuff, and it’s Mad March, where every major festival in this state is run simultaneously for reasons no one knows. If you are pining for my literary genius, you can always read old ones you’ve forgotten. I know I do. So, last night I was out at an Adelaide Fringe show called the California Crooners Club, the brainchild of local boy made good, Hugh Sheridan. Incidentally, I also saw him in a George Michael tribute with the ASO two weeks ago, so he’s busy. One of the Crooners was a guy called T Soul, of whom I have never heard. He was apparently thrust into prominence by a reality show in the US of A, of the kind that is much maligned but nevertheless often uncovers great talent . (I saw Adam Lambert with Queen last week, and that was sensational, and three of the four other singers at the George Michael show also had that background, so it’s clearly working for some). So, T Soul. 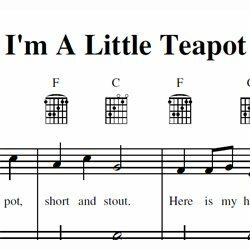 Of course, when it was announced, I heard it as “Tea Soul”, which I think you’ll all agree, is a beautiful confluence of words. Had I had my marketing hat on, I would have considered a barnstorming attack on the American Market with a trilogy of teas named after performers such as Tea Soul, Mr Tea and,er, Tea Diddy, but I didn’t have my marketing hat on. I had my music fan hat on. Let me tell, you the bass player (4 string fretted, double bass and groovy bass keys) was good enough to have ensured a great night all by himself, but the singers did a great job and covered everything from Adele to Frank Sinatra, not to mention Justin Beiber*. But T Soul was something special. Incidentally, his actual name is Terry Pinkard, but I imagine he had to change it because he would get mixed up with that guy who wrote extensively about the philosophy of Hegel and T Soul probably got sick of people asking him about “The Foundations of Transcendental Idealism: Kant, Hegel, Husserl” in train stations. Anyway, late in the show, all the performers were dancing in the crowd and I noticed T Soul dancing with some kids. It was a great moment. For the finale (some vaguely familiar song mixed with Bruno Mars Uptown Funk) he dragged the little lad, and some other kids up on stage and made sure these kids, and their parents had a night to remember. It was a generous and soulful act from a performer who could easily just be content with exercising his enormous talent. I love soul music and I’m listening to him right now punching some out. And trying not to spill my tea as the rhythm moves me. Tea is sharing and caring and inclusive and exciting and provides unlimited enjoyment, and this guy has those qualities in abundance for all to see, so from here on in, he’s “Tea Soul” in this household. More than a beautiful confluence of words, but a wonderful description. You always have your tea hat on and that’s the one that matters.